Your environment – Enjoy the peace and quiet. Swim under the stars in a heated pool. Sleep really well. Start your day with a great breakfast. Our knowledge – We know the area and have been visitors since 1987 and owners of Papillon since 2005. We can help you make the right choices – birdwatching, crocodile spotting, bush walking, the best beaches, trips to the Great Barrier Reef and the Low Isles, Port Douglas, Mossman Gorge, the Daintree, Cape Tribulation and the Atherton Tablelands. For a less active day Papillon Bed and Breakfast, hammock may call you or simply sit and enjoy the garden or laze by the pool. You need a car to enjoy the great Far North. 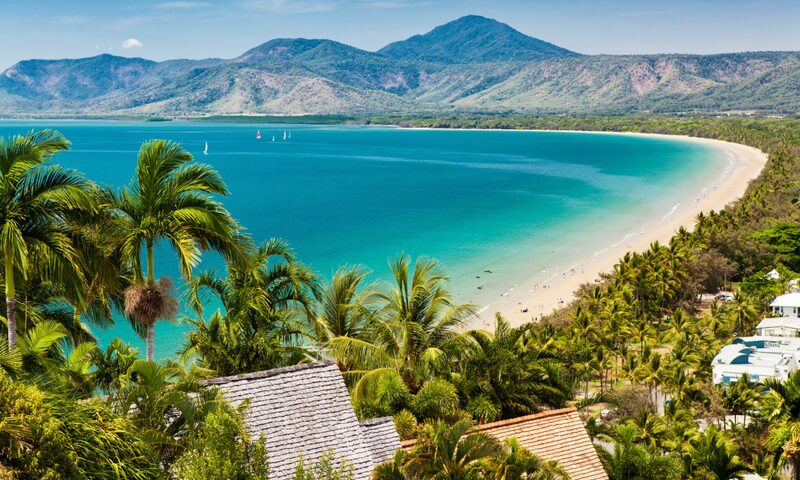 Tropical North Queensland has two distinct seasons: the cooler drier months begin in May and last to November, offering the most idyllic weather: sunshine, fresh breezes and low humidity. The tropical summer (wet) season extends from December to April, with tropical downpours. During this season, box jellyfish prevent beach swimming except where there are protective nets (Port Douglas) or on the Great Barrier Reef which is mostly free of box jellyfish. Swimming at Mossman Gorge is a good alternative to the beaches. Average temperatures are 31.4 degree C (88 degree F) maximum and 17 degree (65 degree F) minimum. Average annual rainfall is 2,010 mm. (79 inches). Seawater temperatures vary from 23.2 degree C (70 degree F) minimum in July to 28.7 degree C (86 degree F) maximum in February.